Today we are bringing you the second post about what to do in Santiago de Compostela, the most popular city of Galicia region. Just like Jerusalem or Rome, Santiago stands out as a Christian Pilgrimage destination; this is where the remains of the Saint James the Apostle are buried. The most popular building is the Cathedral, where more than 300.000 pilgrims finished their Camino de Santiago in 2017. Another highlight of the city is the University of Santiago de Compostela, which is more than 500 years old. And it is considered to be one of the best universities of the world. Many students come to Santiago de Compostela, from all over the world. In fact, students are about 25% of the total population of Santiago. The city combines culture and traditions, that is why you will enjoy it as a student, pilgrim or tourist. 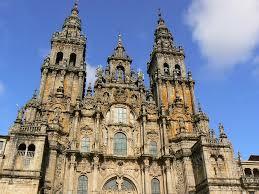 Today we will talk about some of the most important places to visit in Santiago de Compostela. And some of the activities you can do if you are around, so you can take the most of the city before you leave. The Cathedral is by far the most popular building of Santiago de Compostela. It was declared a Good of Cultural Interest in 1986. For these, and many other reasons, it is the must see of Santiago de Compostela. The origin of the Cathedral goes back to the year 814. 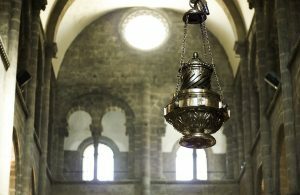 The remains of Saint James the Apostle were transported from Jerusalem to Galicia, and abandoned in the III century because of the Roman persecutions. In 814, the tomb was discovered by a hermit called Pelayo, after seeing some strange lights on the sky. It was then when the King Alfonso II of Asturias ordered to build a chapel in that place. Even if the first steps towards the construction of the cathedral dates from 814, with Alfonso II, the works did not start until the 1075, with Alfonso IV. The Cathedral has a Romanesque style, but with some touches of Baroque and Gothic, which come from later restorations. All these restoration have lead the building to look the way it looks nowadays. On the external part of the Cathedral, we can see: the Pórtico de la Gloria (Portal of Glory), the façades, the towers, and the Puerta Santa (Holy Door). The main façade of the Cathedral (or west one) can be seen from the Obradoiro Square (Plaza del Obradoiro). It has a Baroque style, that dates back from the XVIII century. It was built to protect the main entrance against adverse meteorological conditions. We can see the figure of the Apostle in the central tower, with two disciples who are dressed up as pilgrims; there is also an urn and a star (these represents the discovery of the remains, made by Pelayo). On the right part, we can see the mother of the Apostle (María Salomé). On the left side, his father (Zebedeo). The stairway of the main entrance was built in the XVII century, and it has a Renaissance style. 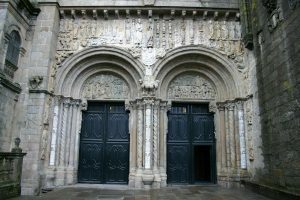 In this façade it is located the Pórtico de la Gloria (Portal of Glory). 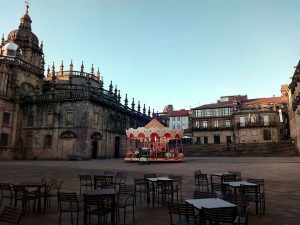 We strongly recommend to spend some time at the Obradoiro Square when you arrive. You get the chance to meet and chat to other pilgrims. The Southern façade of the Cathedral can be seen from the Plaza de las Platerías (Silver-Smithing Square in English, and Praza das Praterías in Galician). This is the only façade with a Romanesque style, and it was built in the XII century. There are two main entrance doors, and the representation of Christ and the Three Wise Men. The Northern Façade is located in the Plaza de la Azabachería (or jet-smithing Square) and it has a Baroque style. It was remodeled in the XVIII century, after being damaged because of a fire. 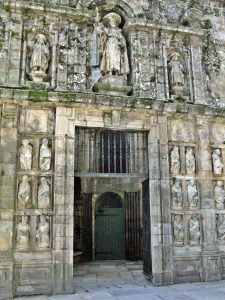 The entrance door is known as the Puerta del Paraíso (Heaven Door), and it where pilgrims doing the French Way, the Primitive Way, the Northern Way or the English Way, finish their Camino de Santiago. The Easter façade of the Cathedral can be seen from the Plaza de la Quintana (Quintana Square) and is one of the most popular ones. It also has a Baroque style. In this façade there is the Puerta Santa o del Perdón (Holy Door or Forgiveness Door) and the Puerta Real (the Royal Door). This last one was the one used by the Spanish Monarchs. This Romanesque sculpture is formed by three arches, that represent the Original Sin, the Redemption, and Doomsday. The central arch is also the bigger, and it is divided by a mullion, that represent the Apostle holding the pilgrim walking stick. The left arch represent scenes of the Old Testament. And the arch on the right, has two faces, that represent Heaven and Hell. There is also a figure of Christ. This is the arch that also represents Doomsday. This is one of the most important doors of the whole Christian tradition. It is only open to the public during the Holy Years. That is, when the Day of the Apostle (25th of July) is on a Sunday. The next Holy Year will be in 2021. The door will be open from the 31st December of 2020, and will remain like that for the whole next year for anyone willing to get the plenary indulgence. For this reason, it is also known as the Puerta del Perdón (Door of Forgiveness). The inside part of the Cathedral is formed by the Capilla Mayor (Mayor Chapel) where we can see the botafumeiro (the big censer). There are different chapels, but the Capilla de San Pedro (Saint Peter Chapel) is the most popular one. It is right beside the Holy Door. This big censer comes from the Middle Ages, and it is full of coal and incense. It is seen as a instrument of purification. It is moved with the strength of five men, in the Main Altar of the Cathedral, when the hymn of the Apostle starts to be played. But the Cathedral is jus the beginning. There is even more to discover in Santiago de Compostela. 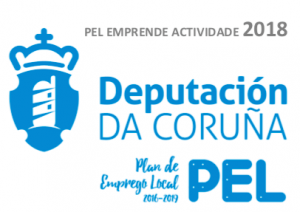 Just keep reading to discover other secret jewels of the Capital city of Galicia! This museum is located in the Plaza de las Platerías. It was built in 1951, but it was not open as a museum until 1996. It is considered a national institution and a documentation centre, also for investigation and interpretation about Santiago de Compostela and the pilgrimage. Besides this building in Plaza de las Platerías, there is another administrative building known as the Gothic House (Casa Gótica). It is one of the very few examples of civil architecture in the XIV century in Santiago de Compostela. Reduced fee: 1,20 €. Holders of the Carné Joven (Youth Card), Student Card (older than 18 years); groups from 15 pax (need to prebook at least 15 days before); pilgrims showing their Pilgrim Certificate (Compostela). Free: younger than 18 year, older than 65, retired, unemployed & volunteers. 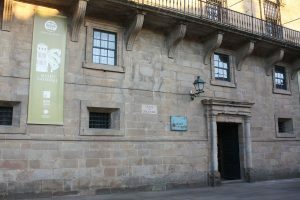 This museum is located on the right side of the Western façade of the Cathedral of Santiago de Compostela. It will allow you to discover many different artistic pieces coming from archeological excavations carried out in the subsoil of the Cathedral. Also, the remains of the Cathedral previous to the restorations. They also offer guided visits to the Pórtico de la Gloria and the rooftop of the Cathedral. 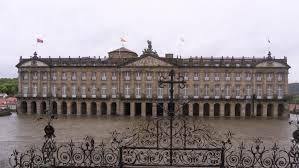 The Palacio de Rajoy is the building located in front of the main façade o the Cathedral of Santiago de Compostela. This palace has French Neoclassical style, and the person who ordered to built it was Bartolomé Rajoy Losada in 1766 (for this reason, it is called Palacio de Rajoy). It was built to host the kids from the choir and the seminary. We can see an sculpture of the Apostle on its main façade, and the representation of the Battle of Clavijo. It is very common to see the student music groups (tuna in Spanish) singing there. It is one of the most impressive buildings, and pilgrims are usually amazed by its architecture when they arrive in Santiago de Compostela. 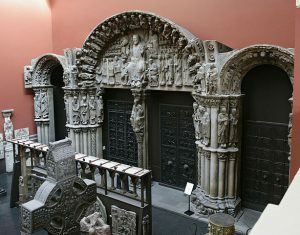 The origin of this construction dates back from the year 1486, when the Catholic Kings visited Santiago de Compostela. They ordered to build a hospital, to help those pilgrims who needed medical assistance after walking the Camino. 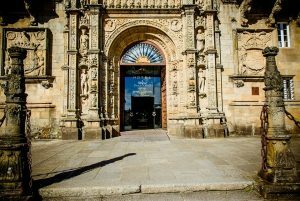 It is located in the Obradoiro Square, close to the Cathedral and the Palacio de Rajoy. Its main façade has a Plateresque Gothic style, the only representation of this style we can see in Galicia! 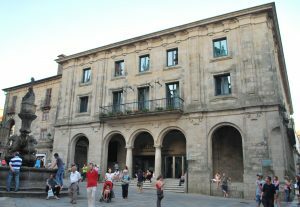 This building used to be known as the Hospital Real de Santiago (Royal Hospital of Santiago de Compostela). It was used as a guesthouse until the XIX century. It was after transformed into a Parador Nacional de Turismo (a very particular kind of hotel, usually in historical buildings). This monastery was built in the X century, and it is right in front of the Northern façade of the Cathedral (Plaza de la Azabachería). 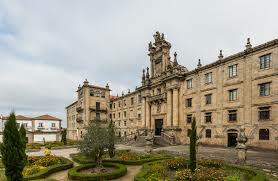 It used to be the biggest and most influential benedictine monastery of Galicia. We can see Renaissance, Baroque ad Neoclassic elements inside the building. Nowadays, it has collections of paintings, sculptures, gold-smithing… And it is also the place where the students of Social Work and the Major Seminary take their lessons. Also known as Hospedería San Martín Pinario, one side of this building has been converted into a hotel. 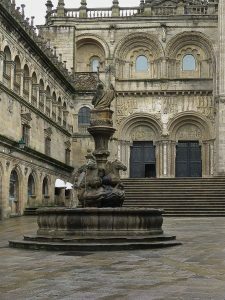 It is a very popular accommodation for pilgrims who arrive in Santiago de Compostela, because of the architecture of the building and because it is right in front of the Cathedral. Hundreds of tourist and pilgrims go to the Mercado de Abastos (food market) every day. Here we can see different stalls offering all the varieties of the Galician gastronomy: meat, fish, seafood.. but also liquors and traditional beverages of the region. This place will allow you to experience the magic of the culture and gastronomy of Santiago de Compostela. Not to be missed! The Parque de la Alameda (or poplar grove park) was given to the city by the Count of Altamira, in the XVI century. 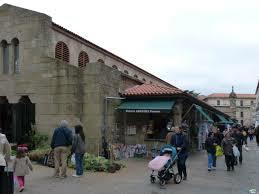 It is an urban garden, very related to the history of the city. It can be divided in three areas: the poplar grove promenade, the oak grove of Santa Susana (Carballeira de Santa Susana) and the promenade of La Herradura (horseshoe). It is a reference point for the locals of Santiago de Compostela. It is seen as a very welcoming space, like a sort of outdoor living room. Many people go there to practice sports, and it is also the scenery of the local festivals. Here we will be able to meet the popular “Las Marías”. 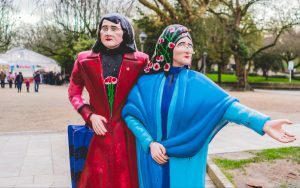 It is the statue of two sisters, Coralia and Maruxa, who became celebrities in the city. They are a symbol of the Civil War period, and the subsucuent repression. One of the best ways to discover Santiago de Compostela, is joining a guided tour. And of course, taste its delicious cuisine! When we were talking about the Mercado de Abastos, we had a quick mention to the gastronomy of the region. But if you want to visit the historical quarter of Santiago de Compostela and taste the typical gastronomy, here you have two foodie tours. Just before letting you know the details, please note that these tours last for about three hours, are organized for small groups (8 people max) and are flexible. If you have any kind of dietary requirement, we can adapt the menu to your needs. Let’s learn a bit more. One of the most popular streets of Santiago de Compostela is the Calle del Franco. There you will be able to see all the shop windows full of traditional food (meats, fishes & seafoods). The best way to verify the quality of each product, is trying them! If you want to try the best tapas of Santiago de Compostela, with an English speaking guide, around the old quarter of the city, you just need to contact us. 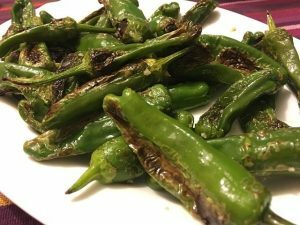 Pimientos de Padrón (Padrón Peppers), empanada, mejillones (mussels)… What a feast! 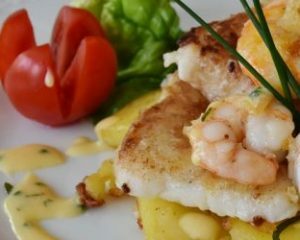 For the most demanding palates, those who are looking for a unique culinary experience, here we have the Gourmet Tapa Tour in Santiago de Compostela. The tour departs from the old quarter of Santiago; you will visit three of the most popular restaurants of the city, with an English speaking guide. On the first one, you will taste the starter. On the second one, the main dish. And finally, on the third one, a traditional Galicia dessert. Would you like to visit other interesting spots in Santiago de Compostela, besides the Obradoiro Square or the Statue of the Marías? What to Visit in Santiago de Compostela? After reading this post, you may have noticed how special Santiago de Compostela is, and all the things you can do in the city. Our offices are in the old quarter, in Plaza de la Quintana, right in front of the Cathedral! Do you have any questions about what to do in Santiago de Compostela? Please do not hesitate to contact us if you have any questions or, if you want, you can come over to meet us.